Last month, I called on Philadelphia’s state-appointed fiscal oversight board to reject the City’s Five-Year Financial Plan because it assumed tax increases that may not be enacted and workforce savings that may not occur. Despite being handed a Plan that was only balanced on paper, the oversight board saw fit to offer its approval. As a father of three, I am used to offering sage advice that is ignored. When the City’s Plan unravels in future months, I’ll do a vigorous “I-told-you-so” dance. In the meantime, I was happy to see that while the oversight board chose not to fight a battle about the City’s short-term budget problems; its chair, Sam Katz, talked about taking action to solve Philadelphia’s long-term pension mess. Katz, echoing similar proposals that have been floated in Philadelphia and elsewhere, offered that we could sell a municipal asset and use the proceeds to eliminate the unfunded liability in the Pension Fund. That Pension Fund is quite a mess. Today, the City Pension Fund should have about $9.3 billion to meet its obligation to current and past workers, but the Fund only has $4.3 billion on hand. So the Pension Fund is short about $5 billion, an unfunded liability of 53 percent. That mess splatters all over the City budget as the total contribution to the Pension Fund has grown and grown from about 7 percent of the total budget ten years ago to 13 percent today. Five years from now, the pension payments are expected to be more than 16 percent of the City budget – almost $600 million per year. That is a huge expenditure in a $3.6 billion budget. Because a great deal of the payments to the Pension Fund are made to try to catch up on funding that unfunded liability, it is particularly galling that much of this massive payment is not going to pay costs of policing our neighborhoods or sweeping our streets today, but to pay for work done years ago after decades of politicians kicked the bills down the road to us. We could hope that the state government or federal government will come to our aid with a bailout. But, while this is a big enough problem state- and nation-wide to trigger a big-government solution, this kind of wishful thinking would seem to be delusional. We could slowly and deliberately reduce the unfunded liability by maximizing investment returns and negotiating higher payments in and lower payments out. But, while this approach should work over (a lot of) time, such an approach will do little to reduce the enormous strain of pension payments on the city budget in the near future. So let’s be bold and consider selling (or long-term leasing) an asset or collection of assets to eliminate the unfunded pension liability. Not only would such a move restore confidence that we will be able to meet our obligation to our past and future retired workers, it would eliminate the need for us to pay toward that unfunded liability and save the City hundreds of millions of dollars each year that could be used to improve service-delivery efforts and reduce City taxes to grow the local economy. Likely candidates for such an asset sale to generate a few billion dollars include the airport, the water works, parking meters and lots, or public land and buildings. Certainly, there is a lot that could go wrong with such an asset sale. We could trip over legal or political hurdles that complicate any contemplated sale. We could undervalue our assets and leave money on the table. 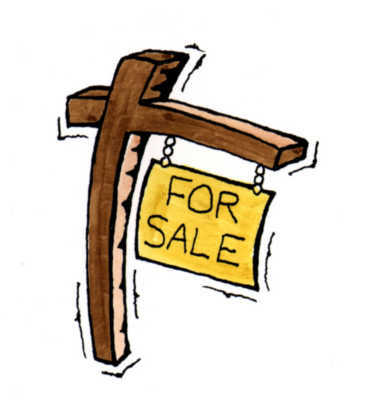 We could sell to a disreputable bidder or a new owner that might try to fleece residents. We could displace workers in a city with too much unemployment already. We could lose control of an asset that we might prefer to utilize at a future time. Certainly, we should not entertain selling assets essential to core government functions and we should be very careful to ensure that the proceeds of any asset sale are not squandered in the short term. But, none of these obstacles is insurmountable and understanding risks and misadventures from other jurisdictions can help us consider such a move in a clear-eyed and level-headed manner. While I think the City’s current Five-Year Plan is a fiction, everyone agrees that future budgets are threatened by this pension mess. However, with some bold moves, we can think of a future where we can turn a municipal asset into the funding required to eliminate the City’s pension mess and free up close to $500 million each year to reduce the cost of living/doing business in Philadelphia and improve the quality of life/quality of the marketplace. That is definitely worth some forward thinking.